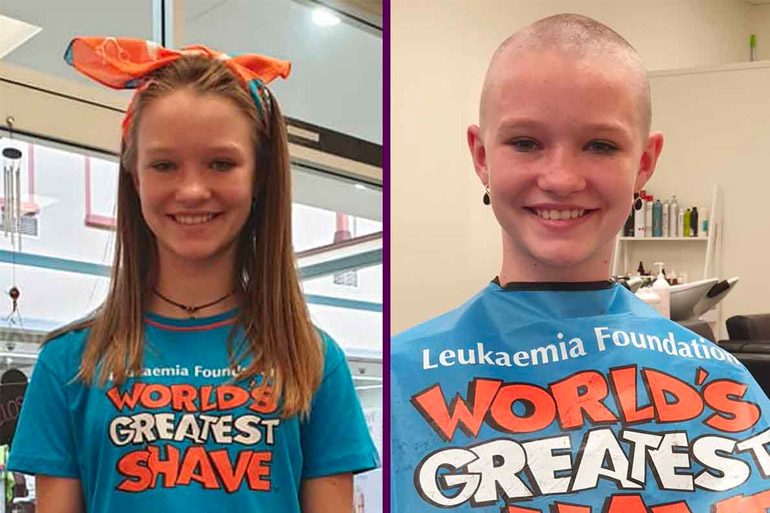 12-year-old Kyarah Doyle, from Inverell in New South Wales, has been targeted by bullies after shaving her head in the World’s Greatest Shave. Kyarah took on the challenge full of hope to raise money for the Leukaemia Foundation. Seeing our children actively trying to make a difference in the world is a source of pride for parents. Watching them passionately undertaking challenges to raise money for charities – what a feeling of success as a parent! Unfortunately, when cruel antagonists are involved, that feeling can be erased and replaced by terror and regret. Kyarah Doyle’s brave decision to shave her head to raise money to rid the world of blood cancer was a momentous decision for her family. Unfortunately though, the joy brought by her heroic move was short-lived. You see, as anybody would expect, a young girl’s decision to shave her head for a good cause should be commended by all. Kyarah’s involvement in the Greatest Shave held personal significance with family having been touched by cancer just three years earlier. Kyarah’s grandmother had cancer and endured chemotherapy, causing her to lose all of her hair. Sadly though, it doesn’t seem all are as supportive of her very brave and strong actions as they should be. You see, some kids at Kyarah’s school have been nothing but nasty in the days that followed her greatest shave. The anti-bullying information sessions at school of recent days seem to have fallen on deaf ears with these kids too. It seems Kyarah’s bullies are unrelenting. So instead of feeling proud, Kyarah found the kids were becoming nasty, commenting on “how ugly she looks with no hair” and asking “why [she] would ever do that”. Kyarah has been too upset by the taunts and ridicule from her attackers and has sadly been forced to stay home from school following these events. While Kyarah’s mother is disappointed in the school for not explaining to students the reason for Kyarah’s shaved head, it is equally upsetting that anybody should feel that they need to justify shaving their hair off – no matter what reason it’s for. Many kind strangers have reached out to support Kyarah. Luckily, the vile actions of some have brought about many kind gestures of support from the rest of the community. On top of this, many good Samaritans have generously donated to Kyarah’s cause, offering kind words of encouragement. The outpour of support following these events has outweighed the horror that Kyarah had to face at school. The brave girl says, knowing how much support she really has, she would do it again in the future. The effects of bullying are truly devastating. See what bullying really does to kids. 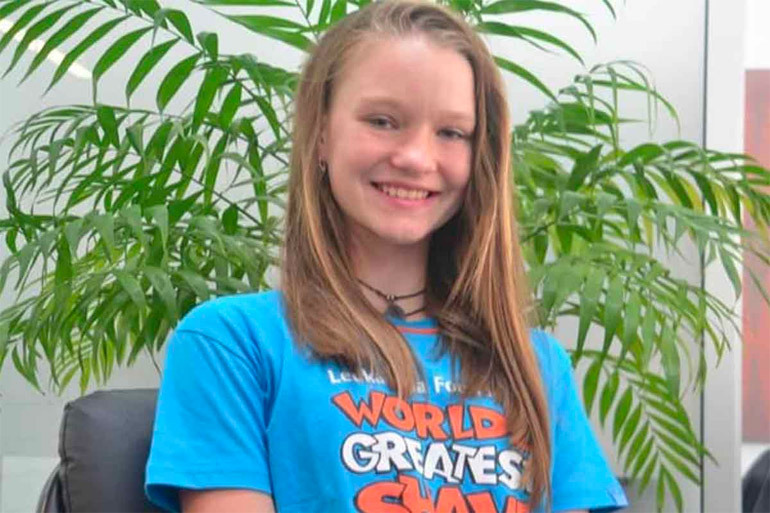 Read about the debilitating effects bullying had on Sophia. A basketball-playing, Doctor Who-watching, high school teaching, mother of two pantless bandits. When she isn't doing the sniff test on her kids, she can be found begging her toddler to eat or obsessively staring at her newborn.